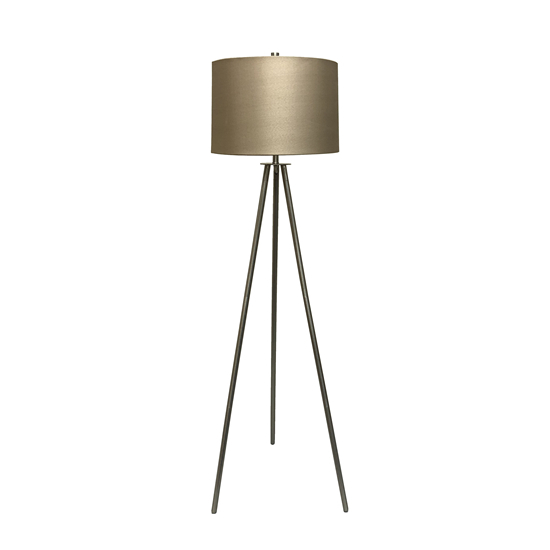 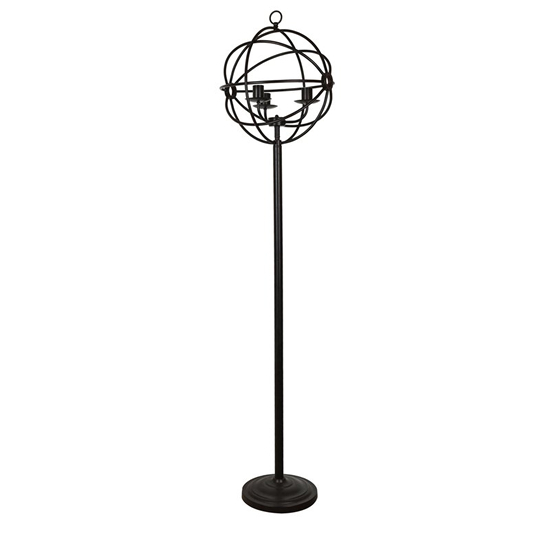 Smooth and contemporary floor lamp with round, polished steel base and candlestick font. 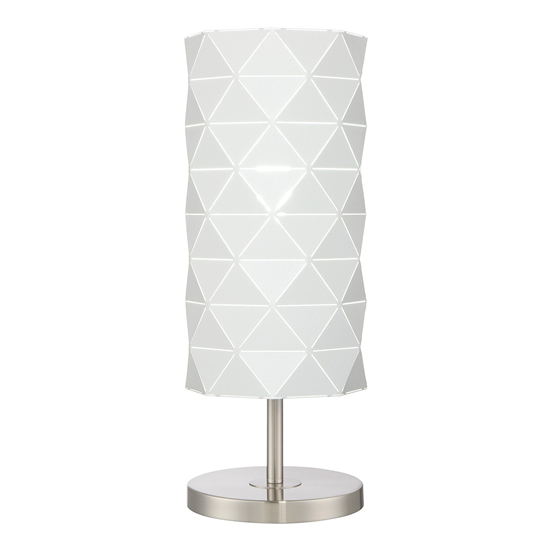 Cylindrical shade is pure white with cutwork triangle designs. 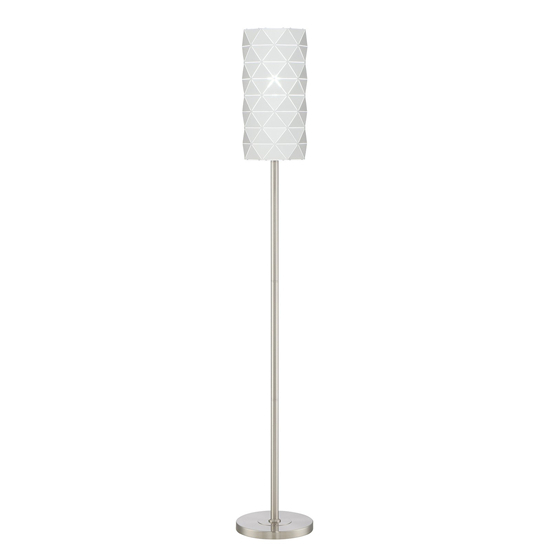 Table lamp also available.